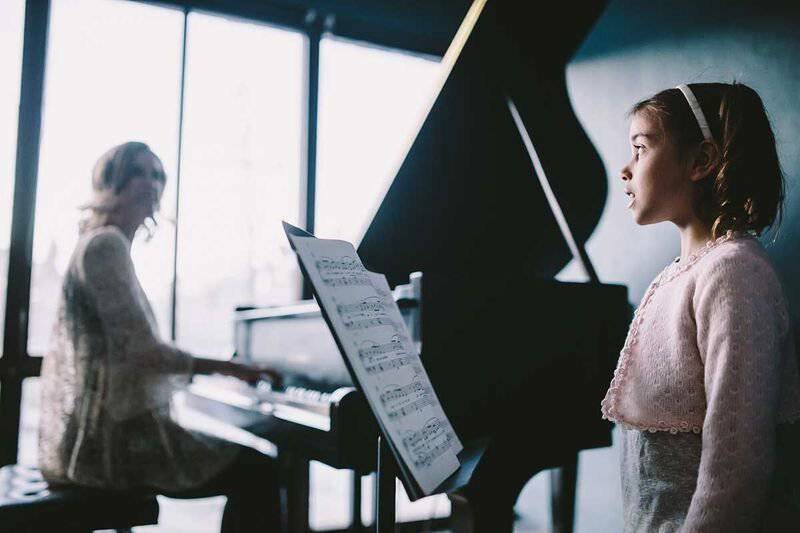 At Chinook School of Music students of all ages enjoy lessons in piano, guitar, voice, violin, cello, flute, drums, Music Kids, composition, and theory in both studio and in home settings.  Our instructors are dynamic, creative and passionate about teaching. They are dedicated to cultivating a lifelong love of music through the development of each student’s natural abilities. We teach all styles and genres of music including classical, rock, pop, and jazz. Our progressive environment offers students a chance to learn and grow as musicians and human beings. Our students’ families become part of ours in a supportive and inspired music community. 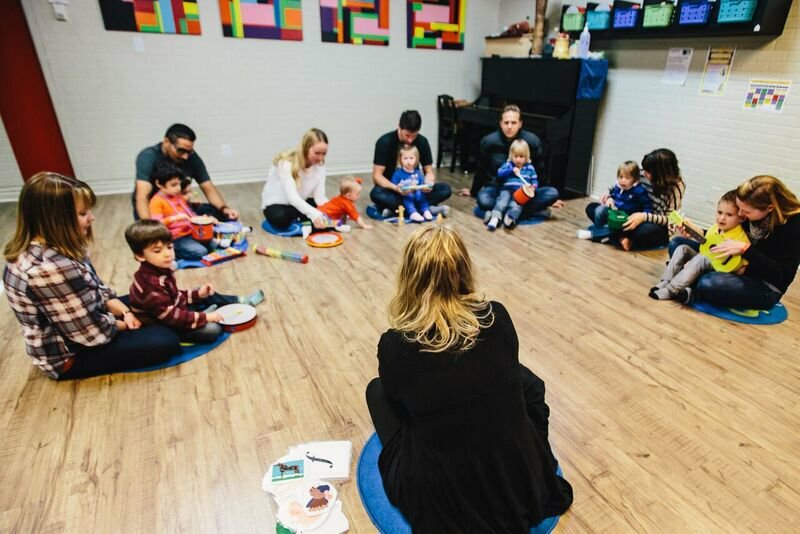 Our exclusive preschool program, Music Kids offers children ages 6 months to 5 years of age, a solid foundation of music skills. Specially designed programs such as our Performance Enrichment Program (PEP), Musical Theatre, Adult Vocal & Guitar Bootcamps and Adult Cello Choir offer exciting opportunities for all levels of musicians. Thank you for visiting chinookschoolofmusic.com, we hope you find our website informative and helpful in your quest for quality music education. Whether you choose lessons in your home or at one of our two studio locations, all the information you need to get started is right here! Piano lessons are a popular choice at Chinook School of Music. For many, playing the piano provides a lifetime of enjoyment whether it is playing timeless classics, pop songs off the radio, or holiday favourites during the festive season. Often musicians begin their musical studies with the piano. Many of the skills developed with this instrument such as reading the treble and bass clefs, establishing a sense of rhythm, developing an ear for harmony, and strengthening coordination are transferable to other instruments. Benefits of studying the piano that are applicable to other areas of one’s life include independent learning, self discipline and perseverance, time management, self confidence, analytical skills and more. Many of our students at Chinook School of Music choose to take Royal Conservatory of Music piano examinations and participate in competitive and non-competitive festivals in the community, while others are keen to chart their own path of study with music ranging from contemporary and pop to jazz and blues. Students have an opportunity to learn with their peers in our Performance Enrichment Program. We find that age five is an appropriate age to start private piano lessons however some children start earlier. Chinook School of Music’s private Music Kids lessons incorporate the fundamentals of music study with the fun of the Music Kids curriculum. This is a fantastic introduction for children who are at a pre-reading stage and are ready to try a private lesson without the necessity of a practice routine at home. Introductory rhythm and note reading is taught through singing, drums, games, movement and playing the piano. Custom tailored for each individual, students exhibit their strengths, interests and musical aptitudes. Many Music Kids private lesson students learn basic piano skills using a piano primer lesson book, while others prefer to focus on singing or percussion. 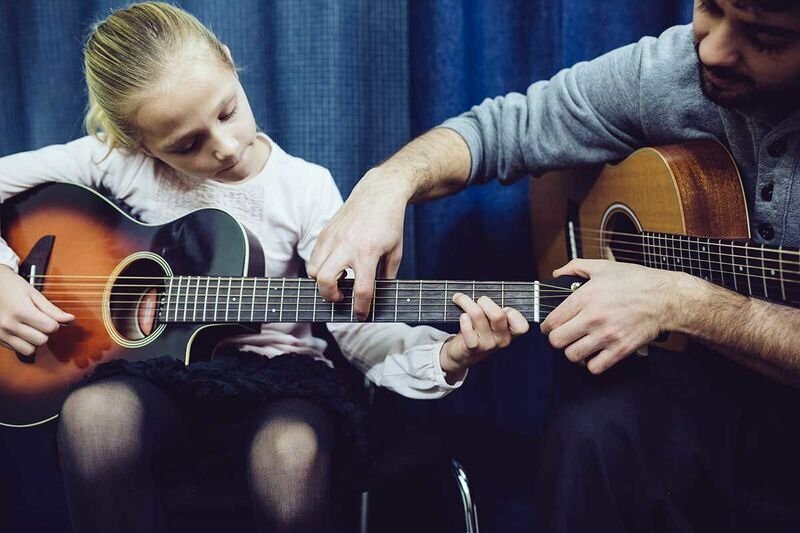 After a year of Music Kids private lessons, parents are much more aware of which instrument will be the best fit for their child as they progress onto structured private lessons in specific instruments. CSM is pleased to offer a guitar rental program for our students. Our high quality guitars come in 1/2, 3/4 and full size for students of all ages and sizes. The cost is $23 per month. Payment plans are offered. Contact administration for more information. Learn to sing Broadway, Pop, Classical, Opera, Folk, Jazz and more at Chinook School of Music! 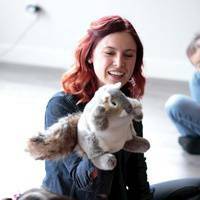 Our vocal instructors assist students, ages six to adulthood in establishing healthy vocal technique to expand vocal range and singing enjoyment. Everyone has a voice – our instructors create a comfortable environment for self expression for our vocal students. Voice lessons combine fun learning, technical and repertoire development and building self confidence. Students interested in taking their performing to the next level can hone their performance skills in our Performance Enrichment Program. Nothing gets your adrenaline flowing like playing the drums! Drums engage both the linear and creative sides of your brain, making it a great body and brain exercise. While drumming has been used for multiple types of physical and mental therapy by many cultures for many years, drums are also fun and totally cool! Drum lessons are a fantastic option for children or adults with lots of energy who want to further develop their motor skills. Our drum teachers can teach children ages five and up and can teach all musical styles. Students interested in taking their performing to the next level can hone their performance skills in our Performance Enrichment Program. 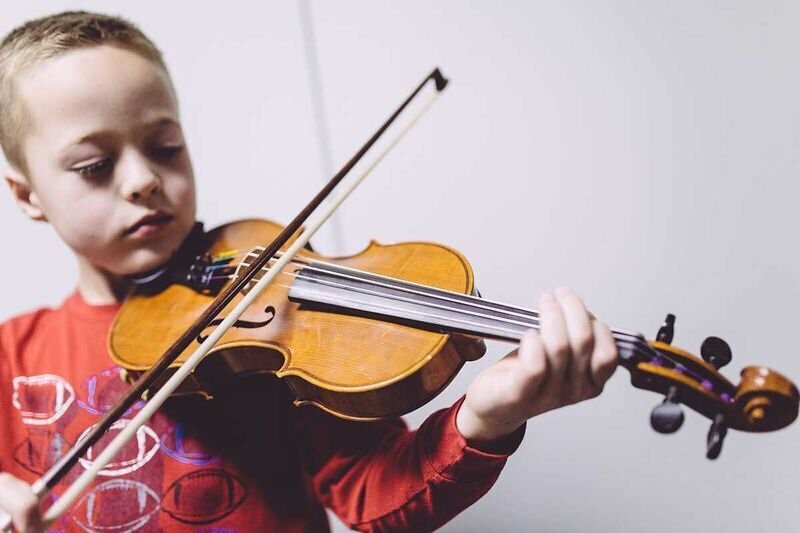 Chinook School of Music offers an Introductory Violin Group Class for ages four and five where students learn the fundamentals of violin playing such as posture, bowing, and names of strings. By the end of the class session, students are playing melodies and are ready for private lessons. We teach beginner to advanced violin students. For beginner violin students, our instructors utilize the Suzuki violin repertoire, Royal Conservatory of Music and more to create a well-rounded musical experience. Many of our students choose to take Royal Conservatory of Music examinations and play in festivals. Students of all ages and levels have an opportunity to play in an orchestral/ensemble environment in our Performance Enrichment Program. Cello is a beautiful sounding string instrument, considered the tenor of the string instruments. We recommend cello lessons for students ages seven years and older. We offer all levels of cello study. Adult students have an opportunity to join our adult cello choir – See more info here. Whether you are looking to advance your playing skills in the school band or you are attracted to the melodic sound of the flute, Chinook School of Music provides a high standard of flute study, beginner to advanced levels. We recommend flute lessons for students ages eight and older. Chinook School of Music has 30 sessions listed on ChatterBlock, visit their website for additional information. Our Music Kids Birthday Party package is a hit with children, 6 months to 5 years of age. Enjoy favorite activities from our popular Music Kids program! Come along on a magical adventure with a fairy princess! You will be transformed into royalty and go to a ball, all created with your imagination in your own living room. Suitable for all princes and princesses under 7.